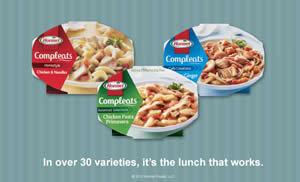 Bogo FREE Hormel Compleats Coupon! Hurry over to Hardest Working Women's Facebook page to score a BOGO Free Hormel Compleats coupon! After you like the page, you'll have to like the coupon as well to be able to print it out.